critique group | Does This Font Make Me Look Fat? 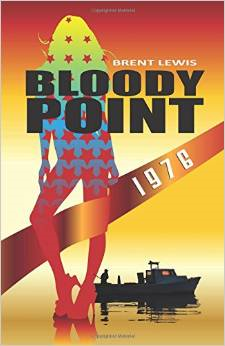 Another author in our Working Writers Forum, Brent Lewis, has just published his first novel, Bloody Point 1976. Wednesday night he had a signing at The Crab Deck on Kent Island. Brent told me he was a bartender here twenty-five years ago. This is the place to go for crabs on Kent Island. I got there early as I was on my way back from Baltimore. Brent told me he didn’t know why he looked so distressed in this photo, but he wondered if he was concerned nobody would show up. 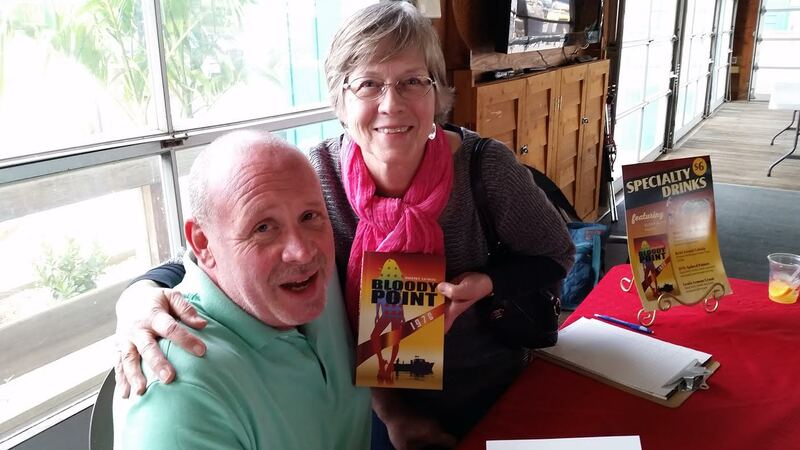 Book signings can be awful, but Brent’s peeps showed up and he sold 125 books in two hours. That’s frigging awesome! Here’s the back cover blurb: Fourth of July, 1976. Tooey Walter, a young Chesapeake Bay waterman on Maryland’s rural Eastern Shore, is hired to retrieve big shot Harris Bradnox’s rebellious daughter Dee from The Block, Baltimore city’s grimy and notoriously dangerous red-light district. Thrown into a menacing world of vice and violence, with hometown goon Clacker Herbertson on his tail, Tooey collides into a lineup of mind-blowing strangers, including: Salt Wade, Dee’s murderous “manager” and his mysterious case; Dr. Merriman, the fallen from grace, drug-addled “Block-doc,” and Amy Ruari, the red-headed waitress with a carbonated personality who might know more than she lets on. 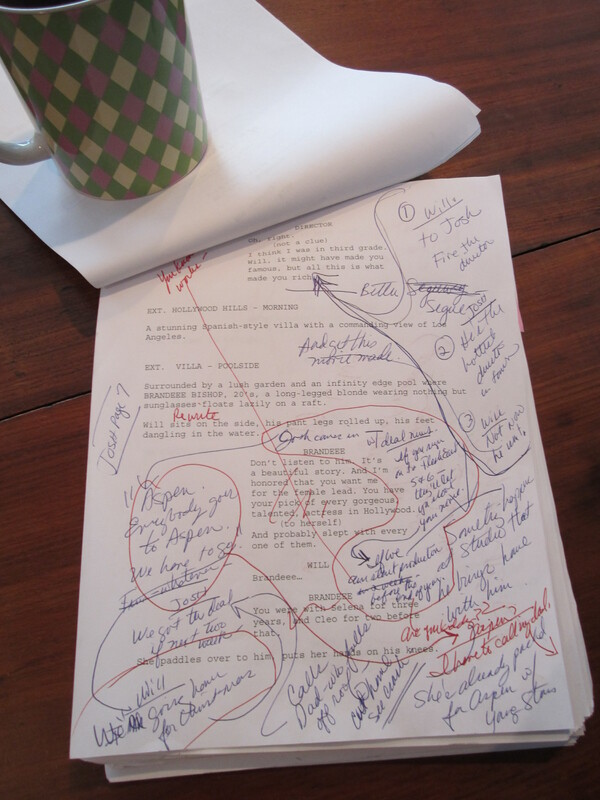 A coming-of-age crime adventure mixed with an epic quest and garnished with a funky slice of Bicentennial Americana; told with fishhook-sharp dialogue and a boatload of twists, Bloody Point 1976 is a rowdy and racy tale of unforgettable characters born of voice, humor and truth, trying to navigate their survival in a changing time and place. And talented Laura Ambler did the cover! Laura and I were mentioned in the acknowledgements because Brent Lewis is in our Working Writers Forum critique group. That’s twice this month we’ve been mentioned in new books. Forum has been reading chapters of Bloody Point for two years and we couldn’t wait to find out what happened at the end. Brent’s writing has a wonderful Eastern Shore voice and he is a master storyteller. Put this book on your reading list. It’s a page turner.